Juliet is one of the most popular David Austin™ garden rose varieties available today. The soft, peachy-apricot shades. Juliet has large, elegant flower heads that open to reveal many perfectly arranged petals nestled in the heart of each bloom. Light fragrant notes of lilac and sweet vanilla fill the room. 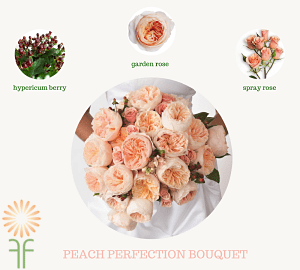 This soft delicate bloom makes it the perfect garden rose for a wide variety of special occasions and events. We suggest you place your order at least 2 weeks in advance during wedding season. These can arrive on a Wednesday or Thursday for a Saturday wedding or event. Garden Roses also make a great gift anytime of the year! 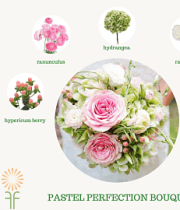 Garden Roses have 12 stems in a bunch. 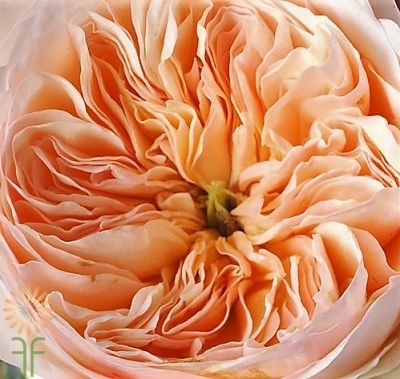 Shape: Cupped rosette Color: Peach Petal Count: 90 Bloom Size: 10-12 cm in diameter Vase Life : 6-7 days. 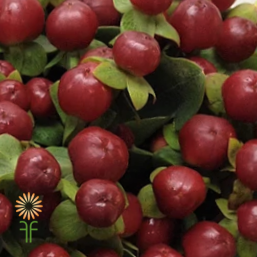 When local grown production is not available, we import from Fine Rose Farms abroad. 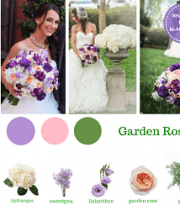 *You can save even more and get 4 bunches delivered right to your door through our sister site, Wedding Roses Direct. 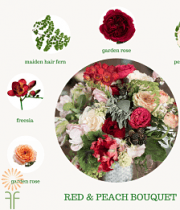 Our garden roses are farm fresh with a longer shelf life. Fast and free delivery. Ilse is a beautiful peach spray rose. Spray roses have multiple smaller flowers on a stem and look great in wedding and special event bouquets or vase arrangements. There are 10 stems in a bunch. 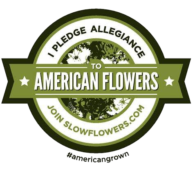 Buy fresh,wholesale flowers by the bunch! This flower package has beautiful flowers and foliages for any decor style. Shop more of our beautiful Flower Packages with pricing . 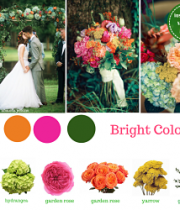 Fabulous Florals… for all of your custom packed floral decor and projects. 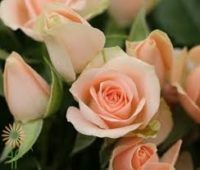 Looking for bulk wholesale garden roses pricing?